Your Personal cycles are laid out like concentric circles around your Sun Number. Your personal Sun Number is very easy to calculate. Simply add your month and date of birth and reduce to a single digit (reduce Master numbers as well). For example, if you were born May 15, add 5 (for May) and 15 = 20, which reduces to 2 (20 = 2 + 0 = 2). Go ahead and calculate your own Sun Number. You will need it to find out how this particular date will affect you. Your Personal cycles (what happens to you, personally) are affected by the Universal cycles (general influences that affect everyone) each day. While some attributes are magnified and others are reduced, if everything is lined up just so, the weather can get really crazy. 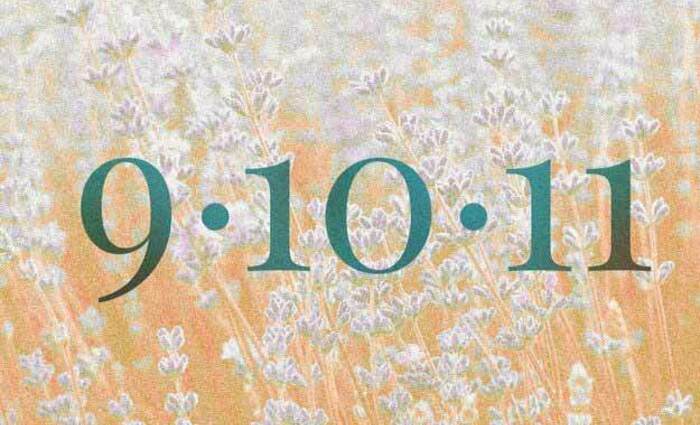 Of course, in the case of 9/10/11, we need to include the full year, not just the 11. This makes it 9/10/2011, and that means that cute little number sequence just got blown out of the water. However, the Universal cycles based on this particular arrangement of numbers is a bit disturbing. The Universal Year cycle for 2011 is 4, the Universal Month cycle for this September is also 4, and the Universal Day cycle is 5. So the Universal cycles are 4, 4 and 5, and that's a set of numbers that reflects some pretty powerful opposing forces. The hidden numbers (which will be explained in a future article, but basically come from additions and subtractions within this 4, 4, 5 sequence) are: 8, 9, 8, and 1, 0, 1. In a nutshell, the stable, orderly, solid, conventional 4 competes with the highly unstable, dynamic, foolhardy and unconventional 5. The practical, results-oriented 8 and the idealistic, dreamy 9 are also at each other's throat more often than not, and the 1 and the 0 are as different as night and day. In short, there is plenty of discord. The result is a whirlwind of energies that can affect us all. On a global scale, these Universal cycles will cause some havoc, probably in all areas, from the stock market to the weather. Fortunately, the influence is short-lived and relatively harmless. If you sit tight and follow the advice on the next page, you should be able to weather this disturbance without much damage. In fact, some of you may even have an opportunity to turn it to your advantage. 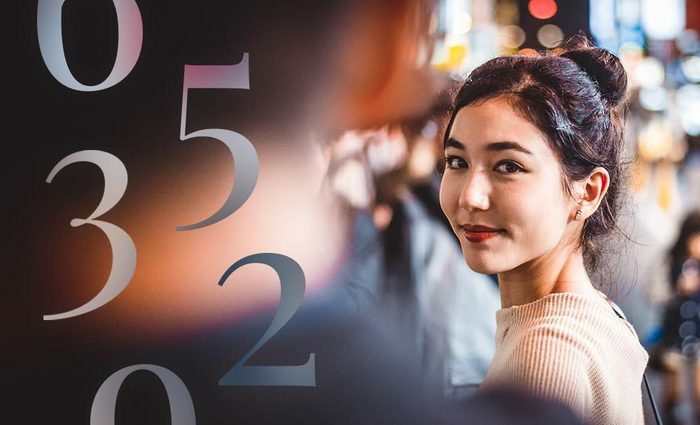 For the curious-minded and Numerologists alike, the Personal and the hidden numbers have been included in parenthesis with each Sun Number, but if these numbers do not make sense to you, don't worry about them! Any plans you had for today are likely to be disrupted, as chaos and unexpected events rule the day. The winds blow against you, so it's better to hole up and stay out of the way. On the upside, others are standing ready to support you. Issues with friends and/or family members make their company barely tolerable today. They seem to be irrational and unfair in their judgments and expectations. The truth is, you are likely the one who is a bit unreasonable and impatient. Put yourself in their shoes for a moment and you just might see things differently. Today your attention span is shorter than usual, your ability to focus on practical matters is pretty much non-existent, and the fact that realistic problems requiring viable solutions are demanding your attention doesn't help. Stress and confusion make this a tough day. Basically, if you have any sick days coming, today might be a good day to use one. This is one of the few Sun Numbers who can benefit from the kind of energy caused by this day's crop of Universal cycles. Business and financial matters are favored. Trust your insight and be decisive. Take control. This day brings opportunities, so be alert. You are easily distracted and a bit scattered. This can make you accident prone and cause you to make bad decisions. Avoid or postpone financial issues and all business matters. There is a possibility that someone you trusted turns against you, most likely in your work environment. Aggression and impulsive behavior should be kept under control today. Discipline and restraint are a must. Take a few (like a dozen or more) deep breaths before finally telling your boss what's what -- or your neighbor or your spouse or anyone else who has been on your radar for a while. Also, try not to spend money if you don't need to. You excel in bad decisions on this day. On the upside, a breakthrough or major progress of some kind is possible. Let's do a bit of backstabbing, shall we? Your Machiavellian instincts are in top form today. Spying, eavesdropping, and other underhanded methods of acquiring information are quite possible. Unfortunately, those things can backfire, so be aware. But all the signs point to a need to strengthen your position, and since the subtle, feminine forces are strong right now, being a bit sneaky might actually be a good -- and necessary -- thing. This Sun Number is actually favored by this day's otherwise disharmonious forces. Self promotion, drive, ambition, and a take-charge attitude will help you get the most of it. Don't be afraid to communicate. Challenge those who are skeptical of your ideas and abilities, and convince them they are wrong. Your personal power is enhanced now, so use it. On the downside today, you feel drawn in opposite directions, doubt and questions make you insecure and indecisive, and the overall feeling is one of disharmony and instability. On the upside, your foundation is becoming stronger, in part because you come into information that will help you make some tough choices. There could also be a financial windfall or the news that one is on the horizon. Now broaden your perspective even further -- find out everything else that's happening in the month of September over on Tarot.com! No matter where you live in the world, September is a time of transition. 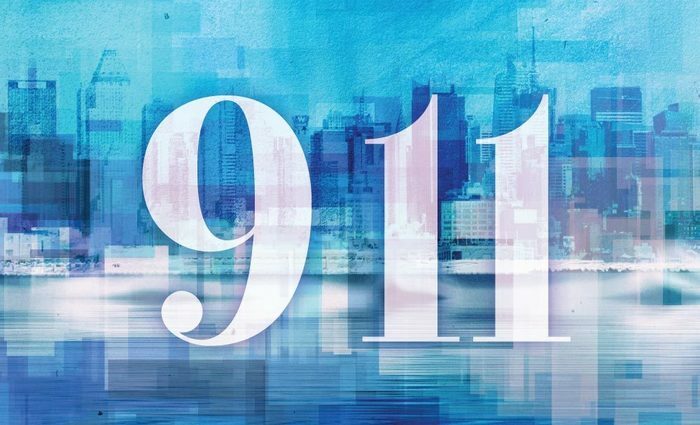 September 11, 2001, is a day we will never forget. As a Numerologist, I have a tendency to analyze dates and related numbers any time something happens.